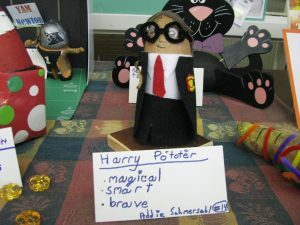 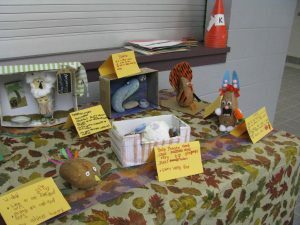 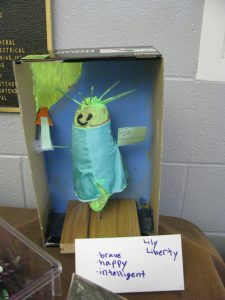 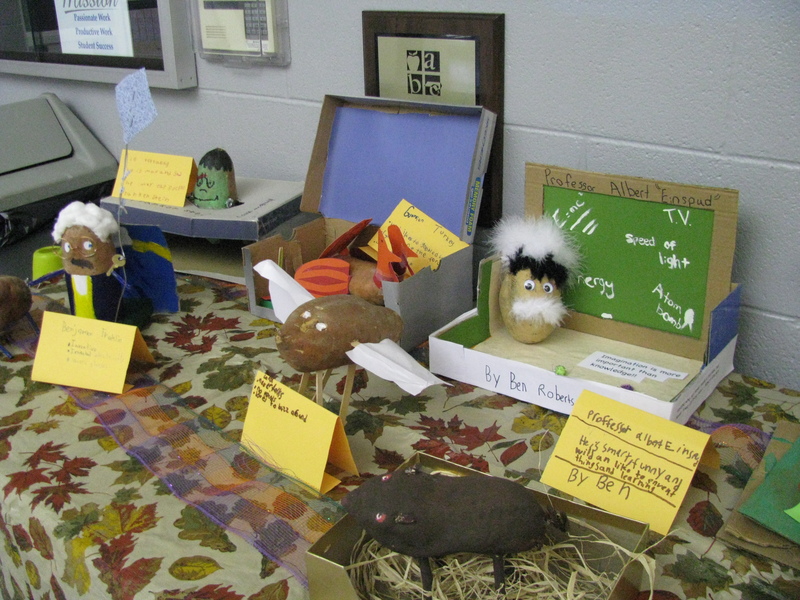 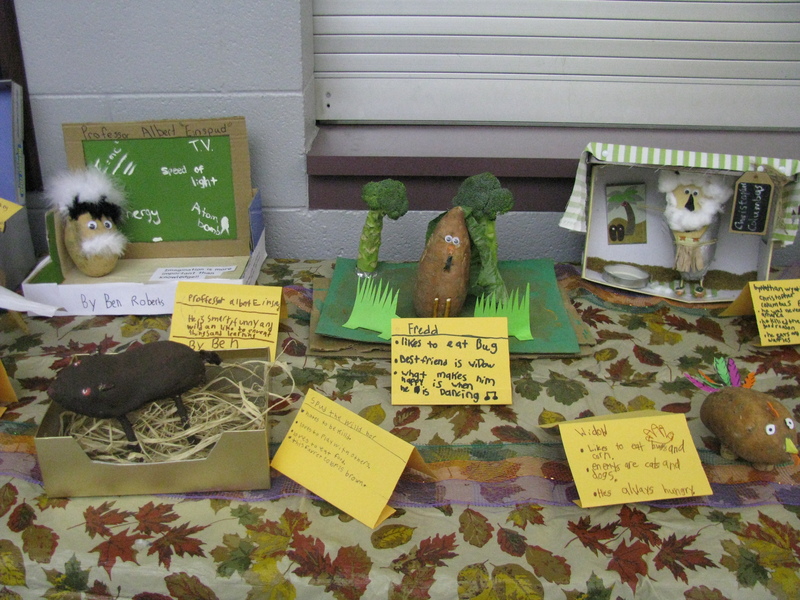 The fourth grade students at Riverbend Elementary recently honored our state vegetable by creating Sweet Potato creatures! 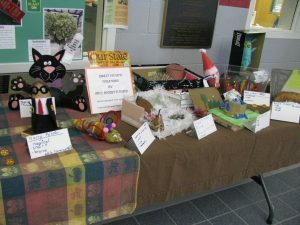 The annual home project was again a great success! 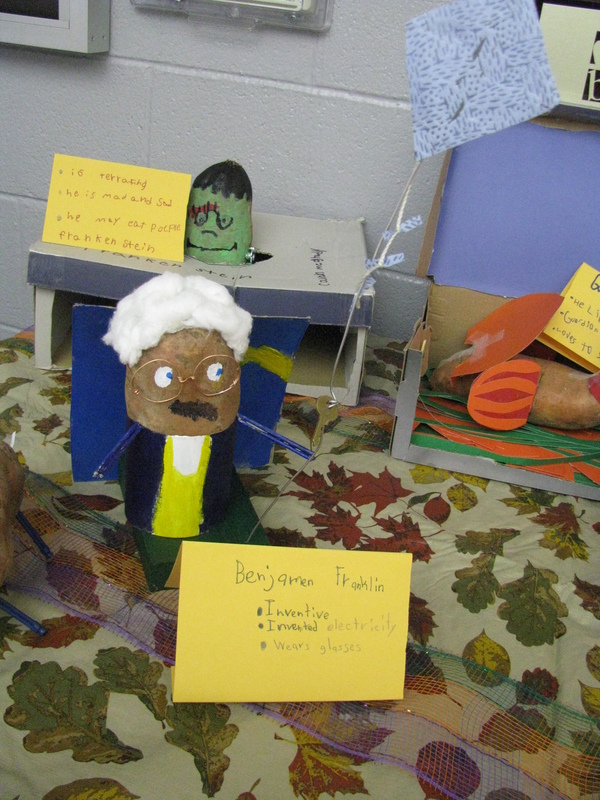 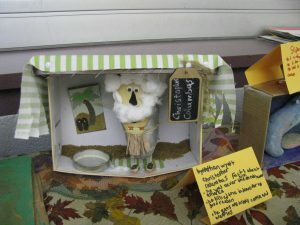 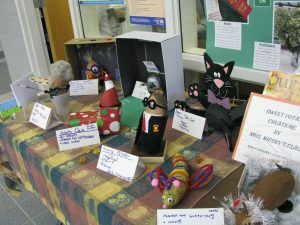 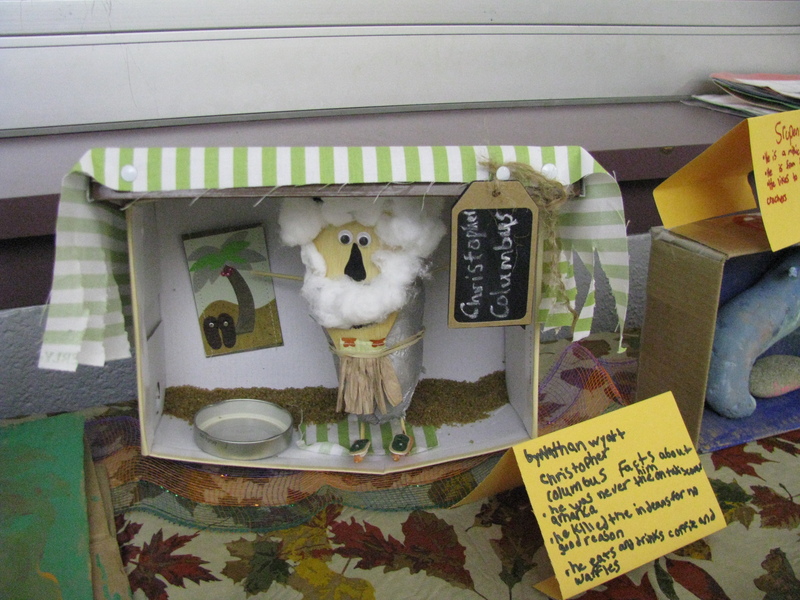 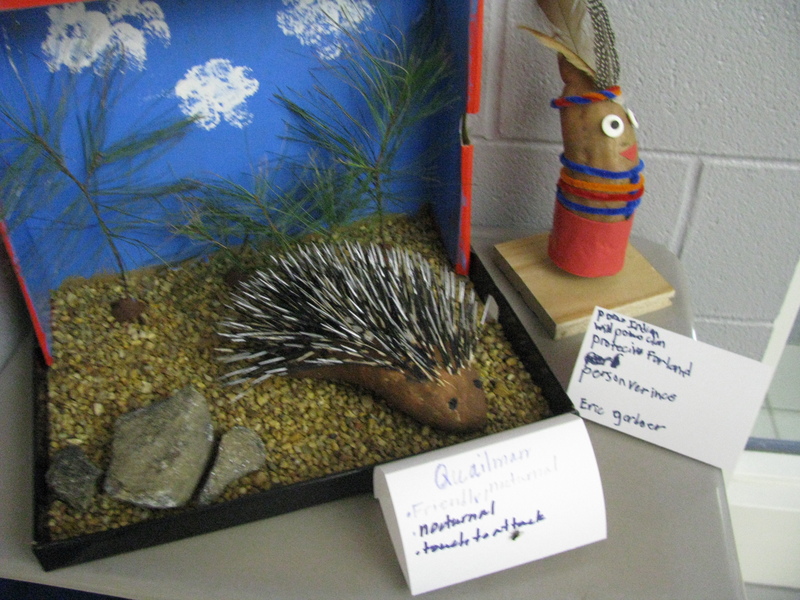 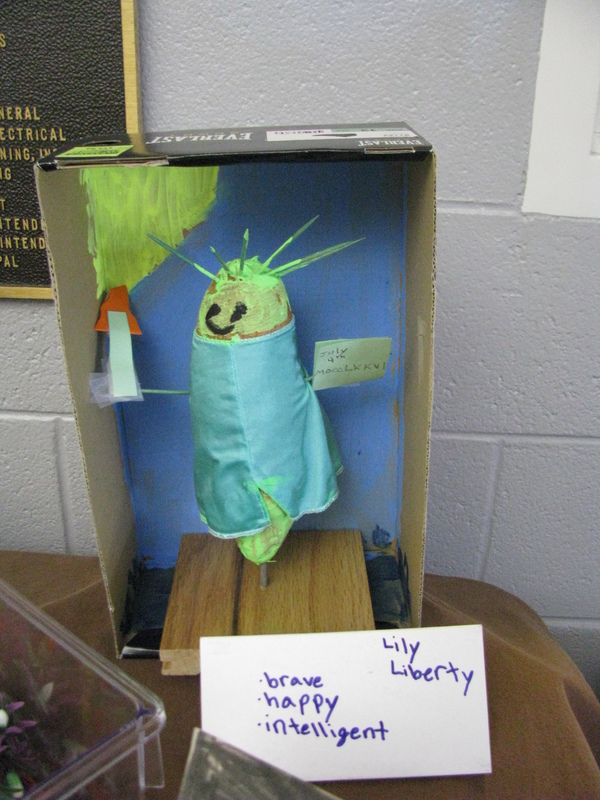 “Albert Einstein”, “Christopher Columbus”, and a host of other interesting creations were displayed in the school lobby prior to Thanksgiving. This was part of a social studies unit where students learn about the ‘taters. A team of faculty members had the difficult task of choosing winners from each classroom. 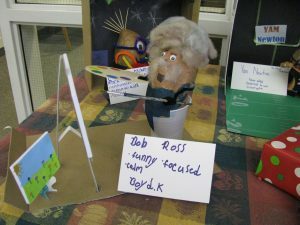 Boyd Kirkpatrick took the overall certificate for his creation of “Bob Ross.” All the students had a great time and all were winners!